Block 109, Plot 8, Henry Ojogho Crescent, Off Freedom Way, off Third Roundabout (Ikate Roundabout), Lekki Phase 1, Lagos. 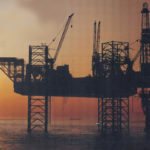 The Nigerian Association of Petroleum Explorationists started as Lagos Society of Geologist and Geophysicist from the idea of a young man named Akomeno Oteri, who felt it was desirable to have such a professional society for furthering both social and technical interaction among professional colleagues…. Architects Place, 2 Idowu Taylor street, off Adeola Hopewell, Victoria Island, Lagos. PENGASSAN/U.M. OKORO HOUSE 288, Ikorodu Road, Anthony, Lagos. The Nigeria Union of Petroleum and Natural Gas Workers (NUPENG) is one of the 29 industrial unions that are formerly affiliated to the Nigeria Labour Congress. It was also one of the former industrial unions during the restructuring exercise between 1976 – 1977. During the restructuring, the following house Unions and Workers organizations among others merged to kick-start NUPENG in November, 1977.